Buy this item and earn 449 ClubPoints. CE600 allows access to a computer system from a remote console (USB keyboard, monitor, and mouse). 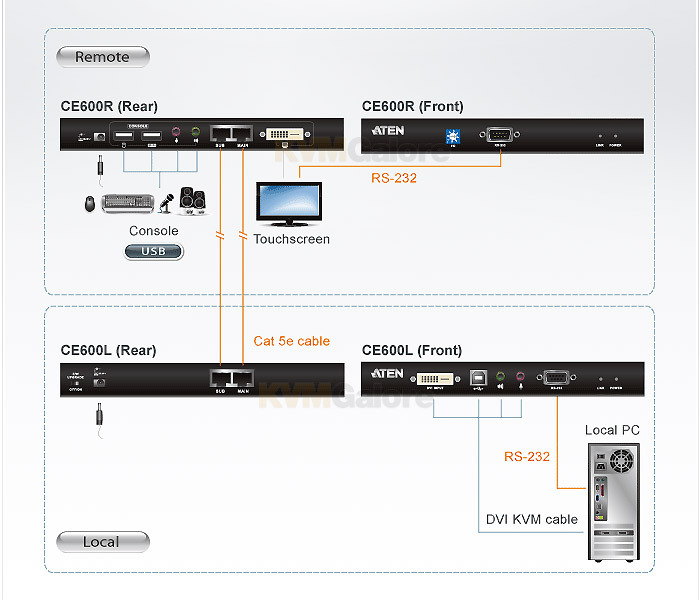 Because it allows access to a computer system from a remote console, the CE600 is perfect for use in any type of installation where you need to place the console where it is conveniently accessible, but you want the system equipment to reside in a safe location – away from the dust and dirt of the factory floor, or the harsh environmental infl uence of a construction site, for example. This allows users to deploy system equipment over large distances. 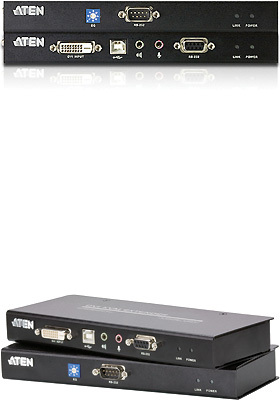 CE600 users one CAT-5e cable (DVI Single Link) to support up to 1920 x 1080 video resolution. The 2nd CAT-5e cable is used for HDCP, RS-232, and microphone signals.